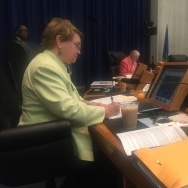 File: Then-City Councilman Richard Alcaron listens to a fellow member speak during a council meeting at City Hall on June 1, 2012. A California appeals court panel reversed the voting fraud and perjury convictions of former Los Angeles City Councilman Richard Alarcon and his wife Flora on Wednesday. The decision hinged on whether or not Alarcon lived within the Panorama City district he represented. Alarcon's defense argued in their appeals that one of judge's instructions in the case had been incorrect. The appeals court agreed. "The jury instruction that the judge told the jurors is that [if] they didn't live there in the preceding 12 months, that it ceased to be their domicile," Jacks said. 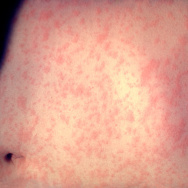 That type of instruction is known as a mandatory presumption, which cannot be used in criminal cases, one of the Alarcons' lawyers, Amy Jacks, told KPCC. 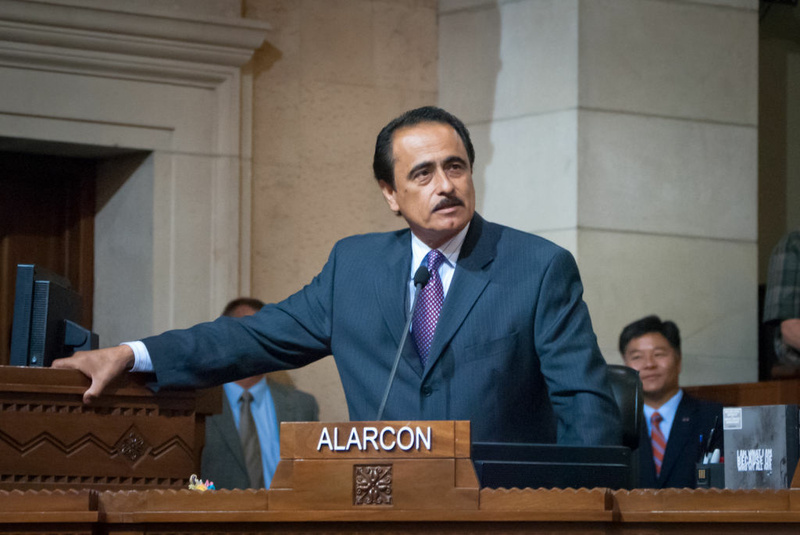 Alarcon was convicted in 2014 of fraudulent voting and perjury, after serving two terms as an L.A. city councilman. He had served previously as state senator and state assemblyman. His wife, Flora was also convicted of fraud in the case. 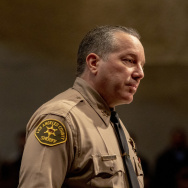 Prosecutors said the two falsely claimed to live in Panorama City so Alarcon could represent that district but actually lived outside it in Sun Valley. Alarcon received a 120-day jail sentence. He and his wife both got community service. "[The difference] between 'living' and 'domiciled' ... That's the key to the case," Jacks said. A "domicile," Jacks said, is a place that someone has established as their residence that they intend to return t0, regardless of how long they may be away. An example, according to Jacks: If someone lives with their parents in Los Angeles and goes to college at Berkeley, their L.A. home can remain their "domicile" while they're away. The Alarcons had left the residence in question because they had decided to remodel, according to Jacks. Their remodel took over a year, she added. The judge had erred in setting a time limit on how long the pair could be absent before the residence could no longer be considered a domicile, Jacks said. "It relieved the jury of the burden of looking at whether the Alarcons intended to return to that domicile," Jacks said. "Maybe most people live where they're domiciled, but there are situations where people temporarily move away from their domicile for whatever reason, and it remains their domicile." "It's a hard issue, I think even for lawyers," Jacks added. "It's like a law school exam question." The attorney general now has 40 days to decide whether to seek a review from the California state supreme court, Jacks said. If they don't file for that review, the case goes back to the lower trial court. 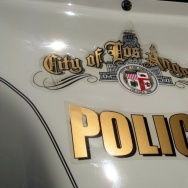 District Attorney Jackie Lacey says her office is reviewing the opinion and deciding its options, according to the AP.